Traffic Racer 2017 is a unique e racing game, featuring fluid, precise, and surprisingly amazing features. 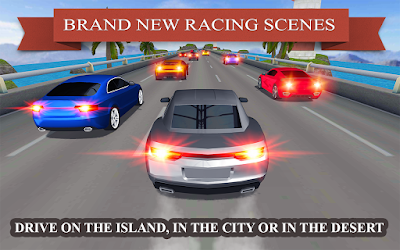 Despite the high-quality 3D graphics and physics, there is a lot of challenge that you will face here. Players work their way through the races to conquer this racing world. Over time, players earn new cars and can upgrade various mechanical bits with their winnings, but make sure you take it easy on your car - you will have to keep your ride in good condition to beat the heat. · Earn money by completing levels. Use your cash to unlock exciting stuff.